Known officially as Ting-A-Ling (thanks to inspired use of the Deed Poll in 1999), Zoe Hart, a.k.a. The Ting cut her DJ teeth nearly 20 years ago at a variety of underground clubs and events, building up a huge following in the London and international Hard Dance scenes. She’s the woman who put the music into Camden’s Cyberdog, has played Glastonbury, Paris Techno Parade, Dragon Fest (Spain), Budapest Parade, Submaniac, Trancentral, Ministry of Sound and toured with Nukleuz. Our favourite memories of Ting, however, involve mis-spent Sunday afternoons at Camden’s Purple Turtle in the early ‘00s, dancing on tables to cheeky hard house at the end of a big weekend. 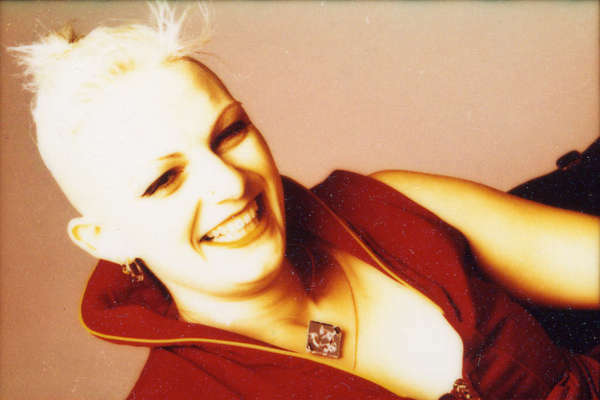 Zoe is also a very successful promoter, the woman behind 1999’s huge Tranceformation, and 2000’s P.L.U.R.at London’s Drome (we were there – were you?) and Ful-On Fest in the same year. She’s famous for playing a canny combination of Hard Dance / Nu NRG at all our favourite hard dance nights including Tidy, Frantic, Riot!, Escape from Samsara and Torture Garden. She strongly believes that it is vital to bring a warmth, love and life to the DJ booth and to the crowd around her. Not content with just mixing banging tunes, her musical performance is greater than the sum of the individual parts, often incorporating live vocals and a cartwheel or two, (stage size permitting). These days she runs her own family-friendly mobile parties but she’s agreed to come out of retirement just for Chilled in a Field.